I have a dropshipping arrangement with a high-end watch designer based in New York City. I sell the watches on WindingWay.com and don't even advertise the site, yet the watches sell well. When someone orders a watch, I (or more often, my assistant, Joel) forwards the order to the manufacturer, who sends it to the customer. The whole process is SO simple. It's some of the easiest money I've ever made. To learn how dropshipping works in detail, read our next article “Dropship Your Way To Ebusiness Success” by my friend, Tim Knox, an absolute expert in the dropshipping arena. I would like to start my own eBay business, but I really don't want to invest in a ton of inventory until I can get a better handle on what might or might not sell. I read another column you wrote about dropshipping, but I'm still a little fuzzy on how the whole process works. 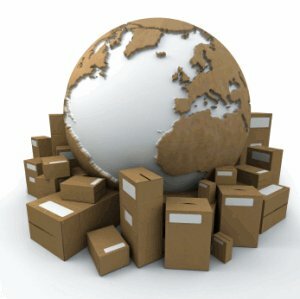 Do you think using dropshipping is a good way to start an eBay business and if so, how do I get started? — Candace M.
Blue Widget Manufacturing (manufacturer): This is the company that manufactures blue widgets. Blue Widget Manufacturing does not sell directly to the public or supply the retailers who ultimately sell the blue widgets to the end user. They prefer to use distributors to handle the task of taking their blue widgets to market. Blue Widgets sells blue widgets by the truckload to distributors who pay $5 per blue widget. Using a research tool like Google, Thomas Register, or an industry-specific resource like The Ultimate eBay Dropship Power Pak (see Resources at that back of this book), you search for and find a company who will dropship CD players for you. The company offers you a 35% mark up over cost, which means that they will supply the CD players to you for $100 each and you should be able to retail them for $135. You make sure that the dropshipper has a good stock of CD players on hand so you don't end up selling a product that must be back-ordered. Many people are afraid to use dropshipping as a method of sales due to the horror stories that fill the Internet about unscrupulous dropshippers who take the money and don't fill the orders, merchandise that is eternally back ordered, unscrupulous middle men posing as dropshippers, etc. Make no mistake, the dropshipping industry – like most other industries – does have its share of shady characters who would rob you blind given the chance, but there are also hundreds of honest dropshippers who can help you build a profitable eBay dropship business. Dropshipping sites are alot harder to establish than you think. It takes a lot of timr to find the right market and then get traffic to your site. Usually adwords are not an option as the products do not make enough of a margin to justify a campaign as the margins from the dropshippers are usually very minimal!